The Haywood County Schools Foundation recognized Riverbend Elementary School media specialist Nikki Barker and Jonathan Valley Elementary School Pre-K teacher Elizabeth Reis with Excellence in Education awards for the month of March. 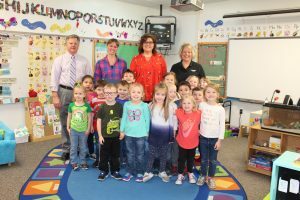 The Excellence in Education program recognizes teachers from Haywood County Schools who exemplify a commitment to innovative teaching practices and show dedication to student success. The program is sponsored by Jack Bishop of Edward Jones and the Haywood County Schools Foundation. 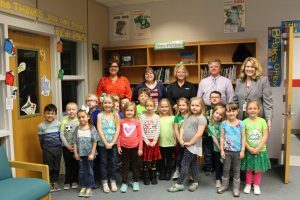 Each month, teachers from the 15 Haywood County Schools are recognized with an Excellence in Education award. Award winners are presented with a certificate and a $100 check sponsored by Bishop. Nikki Barker has taught at Riverbend Elementary School her entire 15-year teaching career. She taught fifth grade for nine years before becoming the school’s media specialist. Elementary schools’ media centers are more than just libraries. As a media specialist, Barker teaches everything from math to social studies to the school’s entire student body. She often collaboratively plans lessons and projects with teachers that reinforce or teach a key concept that the class is studying. Barker is also responsible for teaching media and technology standards, digital citizenship, and best practices to stay safe online. Not surprisingly, Barker said that her passion for teaching children to love reading is what first drew her to the media specialist position. Before joining Jonathan Valley Elementary School four years ago, Elizabeth Reis was student teaching in New York City where she spent two years in diverse settings in Harlem, the Upper West Side, and the Lower East Side while attending graduate school. As a Pre-K teacher, Reis said her main goal is to prepare her four- and five-year-old students to be successful in school and life. Reis spends her days teaching the alphabet, phonics, counting, and number recognition, as well as social and emotional awareness. 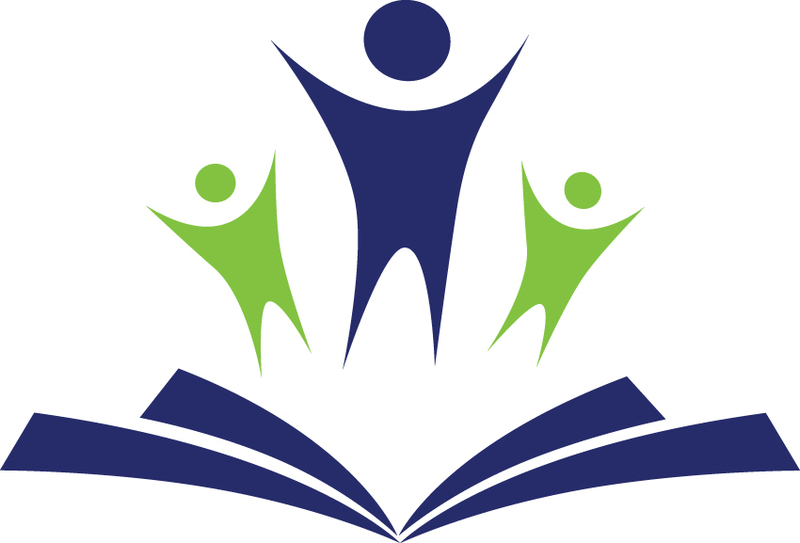 Haywood County Schools Foundation supports the students, staff, and schools of Haywood County that are governed by the Haywood County Schools Board of Education. Rescue Themes. All Rights Reserved.